Domestic tourism in Saudi Arabia has grown over the past few years due to infrastructure improvements and increased mobility among its growing population. 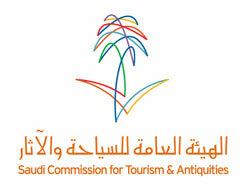 The Saudi Commission for Tourism and Antiquities (SCTA) reported that 37.5 billion Riyals was spent on domestic tourism during the past year. This added 47.5 billion Riyals to the countries Gross Domestic Product during the year. Last year the tourism sector accounted for 6.9 per cent of non-oil GDP. Director General for Information and Research at SCTA, Dr. Mohammed Al Ahmad reported that the number of people working in the Kingdom’s tourism sector increased from 3,355,200 in 2004 to 4,456, 200 in 2008. However, the occupancy rate fell from 59.5% in January of this year to 56.6% in February.